Tuesday, 19 March 2019, 6:56p.m. After the inconceivable acts of terror in Christchurch, new details are emerging about the 50 victims. Here is an updated list of what we know so far. Ahmed was fatally shot in the back after leading a group of children to safety at the Al Noon Mosque. She had returned to check on her wheelchair-bound husband, Farid Ahmed, who survived. To read more about her, click here. Ahmed had recently moved from Karachi, Pakistan, to work at PwC New Zealand to help support his family back home. PwC described him as a "loved and respected member" of the team. To read more about him, click here. Ashan moved to New Zealand from Hyderabad in 2010. The software engineer did a master's degree at the University of Auckland before settling in Christchurch. He has a wife and two young children. Mohsin Al-Harbi is the only victim who survived the initial attack but later died in hospital. His wife Manal was so distressed as she frantically searched for him, she collapsed and had a heart attack. She was in a critical condition as of Monday morning. To read more about him, click here. Abu Dhabi-born Al-Umari was one of the first people to protect fellow worshippers, according to his mother, Iraqi calligraphy artist Janna Ezat. To read more about him, click here. Close friend Abdul Qayyum told Daily Mail Australia he would always remember his "quiet" Fijian-born friend's laugh. Ali was a Fijian taxi company owner on his annual pilgrimage to Christchurch, the Fiji Sunreported. To read more about him, click here. Ali was a senior developer at tech firm Intergen. Chief executive Simon Bright said the company held dear values of acceptance, tolerance and openness, and stood against hatred of any kind. To read more about him, click here. A native of Kodungalloor in Kerala, Alibava had completed a master's degree and was living with her husband, Abdul Nazer. To read more about here, click here. Armstrong grew up in West Auckland and moved to Christchurch to be closer to her daughter and grandchildren, Stuff reported. A friend told the Herald she always took people into her home and was kind, sponsoring a boy from Bangladesh. To read more about her, click here. Awale's death was announced by the Federation of Islamic Associations of New Zealand, who said he was aged 77. Bangladesh-born Bhuiya's death was confirmed by his father and reported by the Dhaka Tribune. The fourth child of two brothers and three sisters, Bhuiya had recently married in his homeland and was planning to take his wife to New Zealand. Bibi was named dead by the Pakistani government. Her son, Zeeshan Raza, and husband, Ghulam Hussain, were also killed. To read more about her, click here. The father of three was among six Palestinians shot dead. The Brisbane Times said he migrated to New Zealand from Jordan about six months ago to join his older brother, Zuhair Darwish. His wife and children had applied for a visa to join him. The goalkeeper for the national and Canterbury men's futsal teams, was shot as he prayed. Born in Kuwait, he recently became a father and was a popular member of the Christchurch tech industry. To read more about him, click here. Elmadani and his wife migrated from the United Arab Emirates in 1998. The retired Christchurch engineer always told his children to be strong and patient. Elmi's death was announced by the Federation of Islamic Associations of New Zealand, who said he was aged 70. Egyptian authorities said Ghani was one of four Egyptians killed in the attacks. Originally from Palestine, the heart doctor and his wife Hanan Hamid migrated to Christchurch 23 years ago. He has two adult sons. To read more about him, click here. The married father-of-two worked as an engineer for Air New Zealand. Chief executive Christopher Luxon said Hamid had ben a valued part of the engineering team in Christchurch for 16 years and his loss would be deeply felt. To read more about him, click here. The student moved to New Zealand from Bangladesh, his flatmate Jahirul Islam told RNZ. He had been in Christchurch for more than two years, studying dentistry. Hussain was named dead by the Pakistani government. His son, Zeeshan Raza, and wife, Karam Bibi, were also killed. To read more about him, click here. 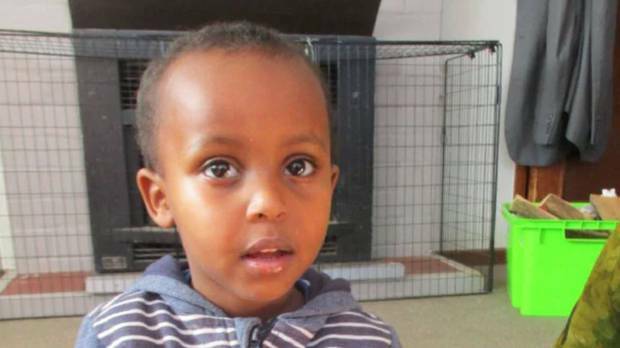 The youngest victim had gone to the Al Noor Mosque with his older brother, Abdi, and father. Mucaad was lost in the melee as Abdi fled and his father played dead after being shot. To read more about him, click here. Ismail was with his twin brother when he was fatally shot. The father-of-three was married and his mother relied on him to care for her. To read more about him, click here. According to the Indian Social and Cultural Club in Christchurch, Kadir was an aviation student and aspired to be a commercial pilot. The restaurant owner was remembered by the owner of a neighbouring business as a "really good guy" with a son of 10 or 11. Khokhar was named dead by India's ambassador to New Zealand. Kweik had a young family and had fallen in love with life in New Zealand. To read more about him, click here. Mahmood leaves a wife and two children, aged 13 and 11. Since completing his doctorate, he had been working as assistant academic director of Canterbury College, a private school for English language and business students. Sayyad's father, John Milne, spoke through tears of his "brave little soldier", who died at the Al Noor Mosque. The Year 10 Cashmere High School student was a keen footballer who was at the mosque with his mother and friends. To read more about him, click here. Avid cricket fan Mortara is believed to have died in the first mosque attack. He was the breadwinner of the family, supporting his mother, wife and their three children, ages 1 to 5, cousin Javed Dadabhai said. Egyptian authorities said Morsi was one of four Egyptians killed in the attacks. His wife said she had lost not only her husband, but many friends, and appealed for prayer. Moustafa had prayed in the same corner of the Masjid Al Noor Mosque since the family moved to Christchurch 20 years ago from Egypt. He died among many of his best friends. To read more about him, click here. Khaled Mustafa, 45, and his family thought they had found safety in New Zealand after fleeing the bloody chaos of Syria only a few months ago. His eldest son, Hamza, 16, also died. Khaled's youngest son Zaid, 13, was also shot but is recovering from a six-hour operation on his wounds. To read more about them, click here. Nabi moved his family to New Zealand in 1979 to escape the Soviet-Afghan war. His son, Omar, said that days before the shootings his father spoke about the importance of unity. To read more about him, click here. Omar's father confirmed his death. According to CNN, Rosemary Omar dropped her son off at the mosque then drove round the back to find a parking space when she heard multiple gunshots. She drove back to the front and saw "lots of bodies outside". Patel recently migrated to Australia after 25 years as chief priest at Lautoka Jame Masjid in Fiji. Naeem, a 50-year-old teacher, died at Christchurch Hospital after trying to wrestle a gun from the shooter at the Al Noor Mosque. Talha, 21, was his oldest son. Raza was named dead by the Pakistani government. His father, Ghulam Hussain, and mother, Karam Bibi, were also killed. To read more about him, click here. The Afghan Embassy in Canberra said a man of Afghan origin, Matiullah Safi, died in the attack. The statement on Facebook did not give additional details, but condemned the attack as "barbaric". Originally from Bangladesh's Kurigram district, the former lecturer moved to New Zealand with his wife and two children after retiring in 2012. After obtaining citizenship he worked as a visiting professor at Lincoln University. One of nine Pakistani deaths announced by authorities in Pakistan. One of four Egyptian deaths announced by authorities in Egypt. Named dead by India's ambassador to New Zealand. The name of one victim appears in what is so far the only charge laid against the alleged killer and has been suppressed by the District Court.